In case you need door installation Frederick, Maryland professional services, look no further than King Door and Lock Maryland and DC. You will find yourself amazed at our complete list of door repair and installation solutions for homes and business. Are you looking to remove your battered entrance door? Is your garage door in such poor shape that it’s impossible to hardly get it to open nowadays? It truly is especially important for companies to own functional and proper entrance doors. Whether you need a door for a home or business, or a new garage door, King Door and Lock is your quick and friendly, 24/7, outstanding Frederick County, MD door installation company. King Door and Lock does a great job not only with residential garage doors but our crew also replaces and repairs commercial garage doors. Make use of our comprehensive door services to ensure that our business can help your company to prosper. Our fast and courteous specialists will get to your to your promptly so you know what your repair or installation will cost you. We will then manage the job efficiently and with courtesy so you’re able to give attention to your own business. If you happen to already have a garage door but it is not in working order, get in touch with King Door and Lock for superior garage door repair in Maryland and DC. For the very same reasons listed above, you want to make certain that garage door repair is finished properly at the beginning to secure the valuable items you store in there. Our skilled technicians will check out your garage door and inform you if it needs replacing or perhaps if it can just be repaired. We will tell you what it will cost up front so there will be no surprises when you receive the bill. Are you thinking of installing a new garage door for your Frederick business or home? Let King Door and Lock Maryland and DC handle your garage door replacement. Considering the different parts of a garage door, it’s extremely important to employ professionals for the job. The garage is the ‘home’ for your car and assorted other things that the majority of us keep in there: lawn mowers, leaf blowers, bikes, and so on. It is necessary that your garage doors continue to be safe and operational. You need the task performed correctly by our highly trained techs with their high tech equipment and tools that enable them to work on any job of this nature. The crew at King Door and Lock performs exceptionally well at installing and repairing a myriad of residential doors. Are you looking for a new screen door? In that case, call our company to see what screen door services you’ll require. We provide up-front prices to ensure no hidden charges. Entrance doors reveal the style of your house and connote an image of the people living there. An entry door installment from King Door and Lock gives off high caliber, workmanship, and professionalism to any person who walks through it. King Door and Lock is upfront about our entry door repair and installation prices. You’ll have assurance with the work that we do when installing one of your doors. We’ll be able to also handle that back door leading out to the backyard or terrace, regardless if it’s a standard hinged door or even a sliding glass door. Depending upon how faulty the door in question is, we are able to either work on patio door repair or complete replacement. King Door and Lock is recognized for giving the preferred door installation Frederick, Frederick County support. 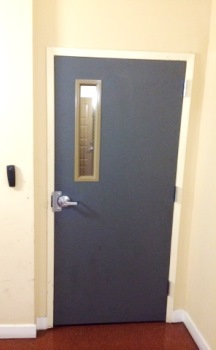 Commercial door repair and installation differs from residential door repair and installation. Our technicians are skilled at both kinds of services. Your business might have several entry doors that will have to operate faultlessly next to one another any time a individual arrives and exits. A lot of these doors will probably have considerably more sophisticated integrated locking mechanisms compared to the regular door knob with a key hole located in the majority of households. You’ll definitely want our highly skilled technicians dealing with your storefront door. We realize, as a business ourselves, that you are constantly keeping an eye on your financial well being. At King Door and Lock, we believe that our costs for door installation, repair, and/or replacement solutions are the most fair for the top quality service our company offers in Frederick, MD. Be wary of businesses with extremely cheap prices because it is very possible that their work will be of lower quality. You are going to appreciate our up front rates coupled with our fast, pleasant service, so you’ll know your door expectations will be taken care of efficiently and there will not be any hidden fees on the invoice. The technicians at King Door and Lock Maryland and DC are your door experts. For door installation Frederick, Frederick County service, contact us. We offer total door solutions: door repair, door replacement, door installation. 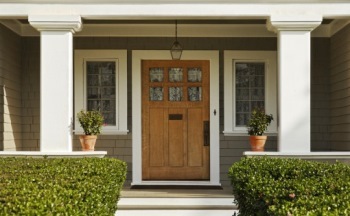 Our 24/7 door solutions includes residential doors, industrial doors, and garage doors. In addition to exterior door repair, installation, or replacement we are also able to fix or remove and replace interior doors in a dwelling or business. This includes pocket doors, hinged doors, and sliding glass doors. First, our technicians will identify what kind of work needs to be completed. You may not necessarily have to have a new door put in. It might be an issue of a door jamb repair or a door hinge repair. If the door frame is faulty, then perhaps a door frame repair is all that’ll be required. Our specialists will size up the situation, figure out what actually is required to be done, and after that, present you with up front pricing so you will have the information you need to make an informed decision. If you’re in Frederick and the vicinity, contact us today. We’re here for you 24 hours a day, 7 days a week! Our Door Installation Frederick Services in Maryland https://kingdoorandlock.com/maryland-door-installation/frederick-county/frederick/ 3.7/5 based upon 10 reviews.